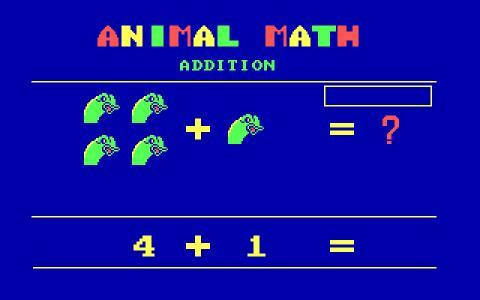 Animal Math is a well produced, early days DOS graphically, math puzzler/math problem game, with a rather high number of math questions that want to teach you addition, subtraction, division and multiplication. It's a cool game, overall, and it creates a great and well satisfying experience, for beginners mainly. 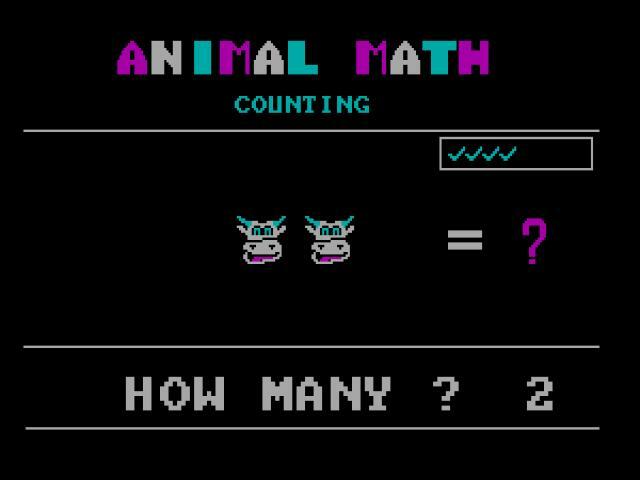 In addition to the math problems that it offers, via problems, in text mode, it includes animal animated graphics, and, after each correct answer, the computer congratulates you and offers you a new challenge. It's also a simple to sue game, as you are prompted to input the correct answer, and you don't have to change prompts or to navigate with a mouse. It's a lovely game, pretty decent overall, pretty well produced, and it has all the necessary content that you could expect from it. 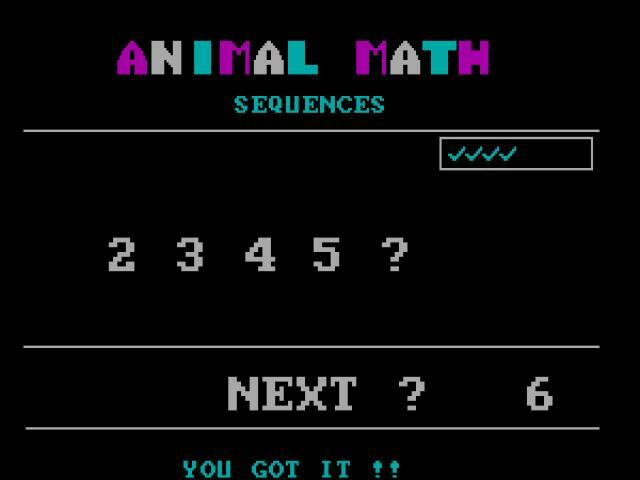 So, overall, it's a pretty satisfying game, and it teaches you math pretty properly. And the pictures and the text are very easily legible which is going to allow you to get a pretty great and well satisfying experience. Similarly produced is the Super Solvers series, which is most definitely worth looking into just as well!